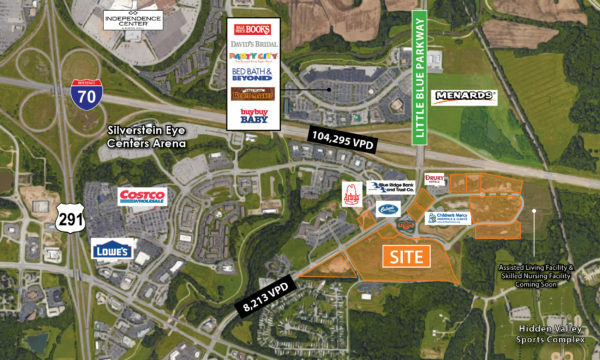 Development sites available at the intersection of I-70 and Little Blue Parkway in Independence, MO. Located next to Children’s Mercy Hospital and Drury Inn with great visibility along I-70 (93,000 VPD). Excellent space for office, retail, hotel, multi-family, or senior living. Approximately 56 total acres, ability to combine or divide to fit.